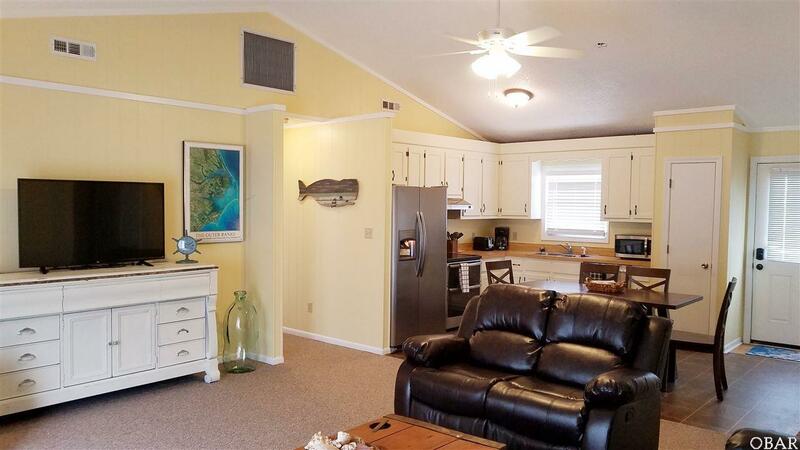 Searenity offers 4 bedrooms, 2 full bathrooms on the Ocean Side in Hatteras Village. Wrap around decking and high elevation allow for a cool breeze at any time on a hot summer day! Ample storage space. Possible space to park your boat under the home. A few Marinas are just down the street. 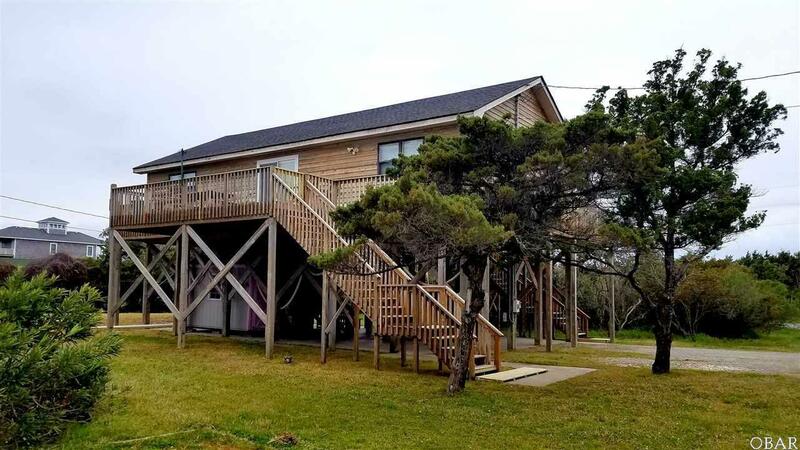 Tucked away from Hwy 12 in a quiet neighborhood, within a short golf cart ride or walk to all the sights and scenes of Hatteras Village! Minutes from the Free Ferry to Ocracoke! 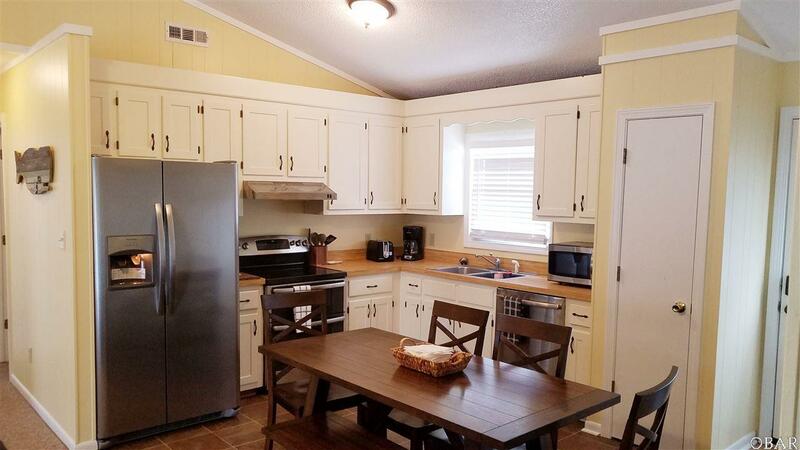 Ideal property for a Primary Home, 2nd home get-a-way, or Rental Investment! A minute's walk to the Ocean Access at the end of Sutton Place. 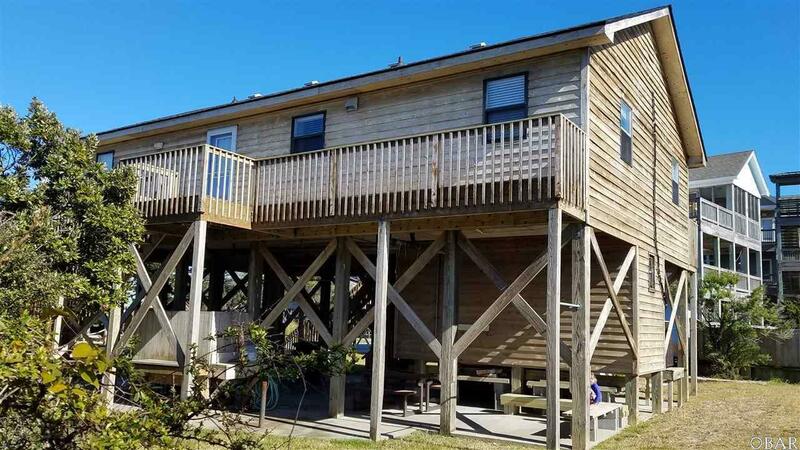 New in 2019: Exterior Doors, Interior Paint, New Bathrooms, New Flooring, New Furnishings throughout! LOCATION, LOCATION, LOCATION!